Trump responds to Mueller report: Hopefully somebody’s going to look at the other side. 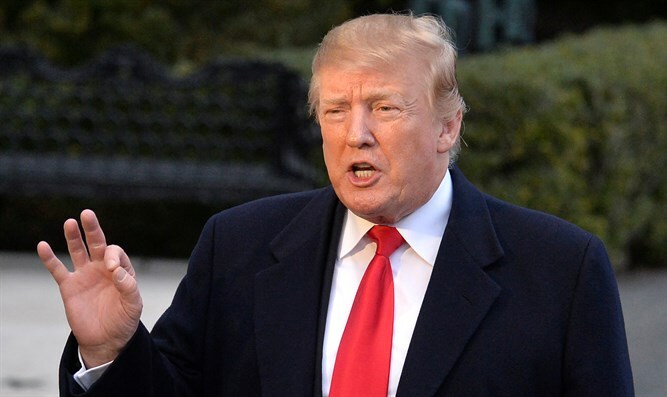 US President Donald Trump responded on Sunday to the report by Special Counsel Robert Mueller which found no evidence that Trump or his campaign colluded with the Russian government to alter the outcome of the election. “After a long investigation, so many people badly hurt, not looking at the other side where bad things happened for our country, it was just announced there was no collusion with Russia, the most ridiculous thing I’ve ever heard. There was no collusion with Russia, there was no obstruction whatsoever. It was a complete and total exoneration. It’s a shame that our country had to go through this,” said Trump. “Hopefully somebody’s going to look at the other side. This was an illegal takedown that failed and hopefully somebody’s going to look at the other side,” he added. According to a summary of Mueller’s report drawn up by Attorney General William P. Barr, the investigation into allegations of collusion between the Trump campaign and the Russian government found no signs that Trump, his aides, or campaign members conspired with Russia. “The investigation did not establish that members of the Trump Campaign conspired or coordinated with the Russian government in its election interference activities,” Barr wrote. Mueller’s work has led to criminal charges against 34 people, including six former Trump associates and advisers. Mueller, a former FBI Director, was appointed by the Justice Department in 2017 to oversee the federal investigation into alleged Russian interference in the 2016 election. His appointment came after former Attorney General Jeff Sessions recused himself from any involvement in the Russia investigation due to his role as a prominent campaign adviser and surrogate.